For every team, there is usually one game per year that seems to matter the most. 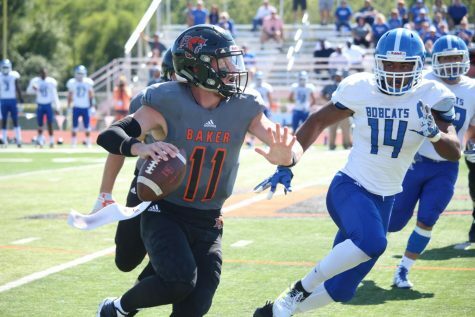 Junior quarterback Nick Marra does not mince words when talking about Saturday’s home game against the MidAmerica Nazarene Pioneers. Marra is also aware that there are harsh feelings all around. 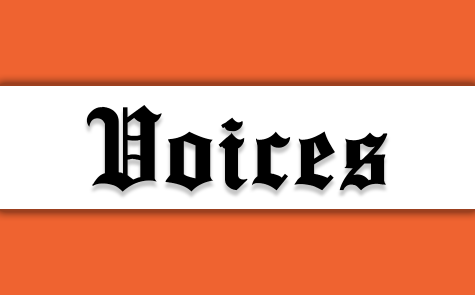 “It’s just a plain, we-hate-them, they-hate-us type of thing,” Marra said. It’s not just mutual disdain that gives the Wildcats extra motivation to win, but also the circumstances surrounding the previous two matchups. In 2013, the Wildcats defeated the Pioneers for the first time since 1999, but the game also featured multiple post-play skirmishes and a horse-collar tackle that caused All-American defensive end Andre Jolly to miss the remainder of the 2013 season. Marra remembers a hit on him that came well after the whistle. “Two years ago (the late hit) happened, then last year I tried to play in the game and they (the coaches) wouldn’t let me, and that was really disappointing,” Marra said. 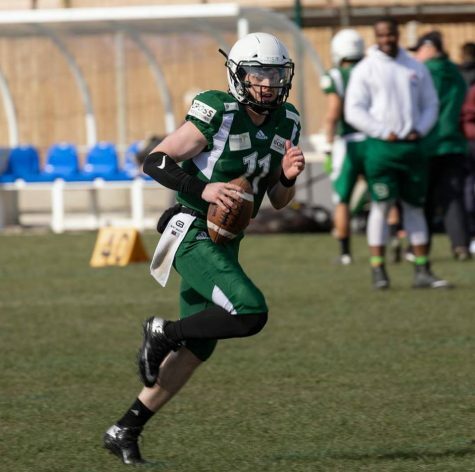 Marra missed the 2014 game due to injury, and backup Logan Brettell led the Wildcats to a 21-10 lead early in the third quarter, and a 27-20 lead in the fourth quarter. 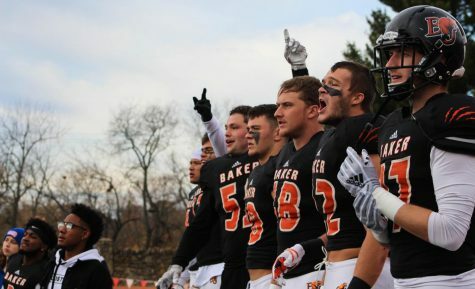 But a 21-yard field goal attempt to potentially put the game out of reach was blocked by the Pioneers and returned 69 yards. 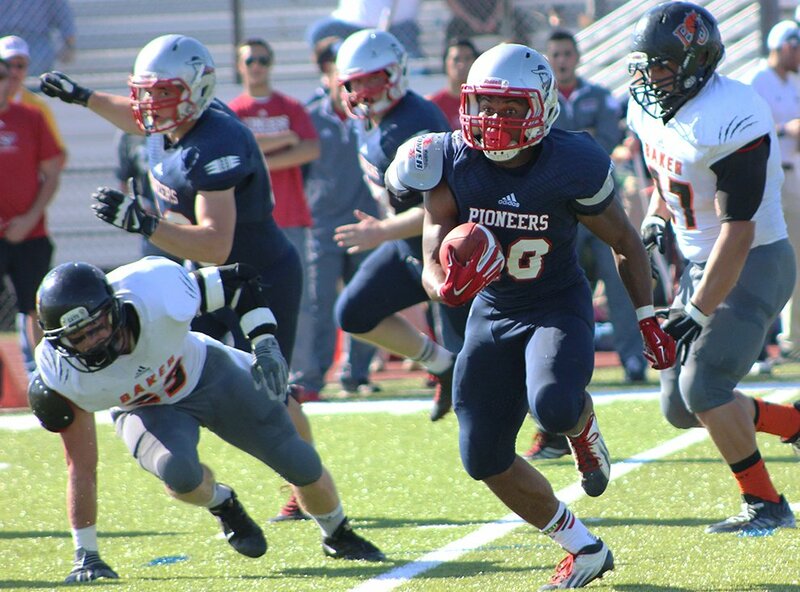 The ensuing possession tied the game at 27-27, and the Pioneers went on to win in overtime, 34-27. 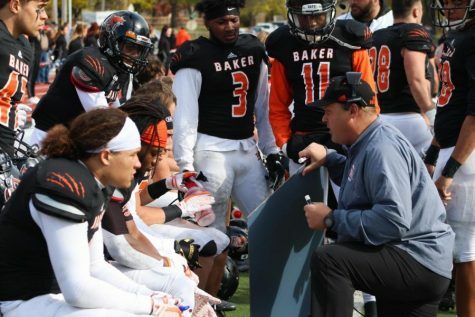 The loss was the first for Baker on the season and the start of a 1-3 stretch that kept the Wildcats out of the NAIA playoffs. 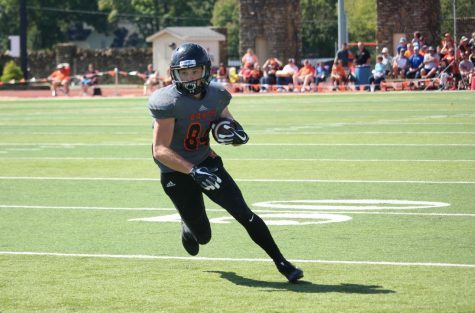 One of the key contributors to the MNU offense was running back Javon Taylor, who rushed for 60 yards and added six receptions for 105 yards and a touchdown. But it isn’t all about emotion, as head coach Mike Grossner will point out. 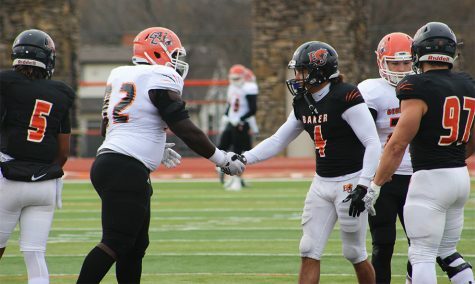 Baker will be taking on a formidable opponent in MNU. There is also anticipation of a big turnout to see the Wildcats and Pioneers clash. 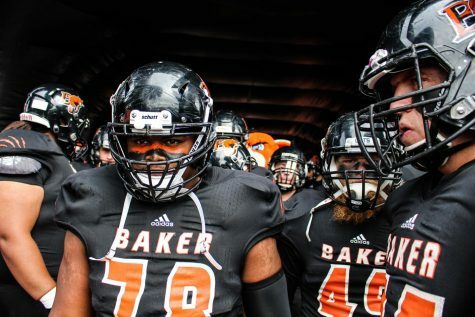 Baker fans are encouraged to wear orange for Friday’s 11 a.m. kickoff at Liston Stadium. “The last time I played MNU we were at home, and we gave them a beat-down, so we’re excited to play in front of our home crowd this time around,” Everett said. But Grossner is adamant that the Wildcats cannot allow their emotions get the best of them. “If we don’t come out with focus, we can be pretty average and get beat by anybody,” Grossner said. 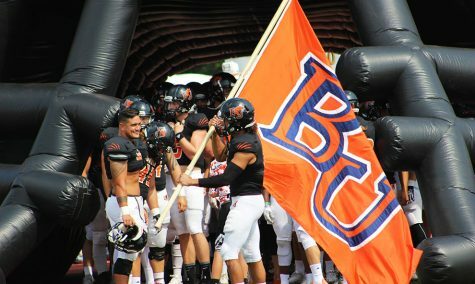 Saturday’s game will be aired on ESPN3. This is Baker’s second game on the network this season.